Hello. My name is Maid. 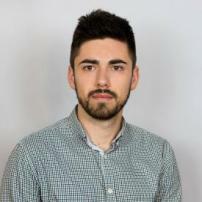 I am 26 years old graphic designer from Bosnia and Herzegovina. Currently living in Dubai, UAE. The Los Angeles Lakers may not be finished making moves this offseason, and they may target other players. Hope voices her distrust and Ridge reads Ms. Spetra the riot act. Katie tells her ex to walk away from the fiery red head before he is hurt. In 'Game of Thrones' Season 7, Littlefinger finally met his demise. But his death may cause some trouble for the Stark children. If you need to practice building in 'Fortnite Battle Royale,' this building simulator will help you a lot. Bode Miller and his wife, Morgan Beck are 'beyond devastated' over the loss of their 19-month-old daughter. The 36-year-old Swiss tennis titan is the first seed of the ATP 250 grass court event. The Spaniard has won a total of 17 Grand Slam titles, second only to Roger Federer with 20. All too often a teenager with a baby is forced to live on a food stamp budget, but not these 'Teen Mom 2' cast members, these young moms are wealthy. LeBron to the Big Apple? The rumor mill is churning after a CBS radio show over the weekend. US President Donald Trump is scheduled to meet North Korean leader Kim Jong-un in Singapore to evolve a peace formula. Owens unprecedented decision comes after criticisms in years prior to induction. Hoping to find this year’s Todd Gurley? This season sees the return of the stud running back, making the position the most scarce its been in years. Poor little Jackson had a big boo-boo over the weekend as he was learning how to walk.